Hockey Canada unveiled the roster for its World Junior selection camp Monday. USA Hockey’s roster unveiling should be right around the corner, so there’s really no better time to start some innocent speculation, am I right? This year, the U.S. has an incredibly deep group to pull from and there’s bound to be a few surprising omissions and inclusions for the camp roster. That said, USA Hockey has left no stone unturned and no player ignored over the last three years. Director of Player Personnel Tim Taylor, who spends the majority of his weekends in rinks from Boston to Kelowna, knows these players as well as anybody. Taylor also knows Dean Blais well enough to know what type of player the head coach needs to be successful. So just because a player didn’t make the evaluation camp roster in August doesn’t mean he’s out of the running today. There are always a few surprises in camp like Luke Walker in 2010 and Mitch Callahan and (now former American) Jamie Oleksiak in 2011. There very well could be again. However, I think a good portion of the names will be familiar, as in players that attended the National Junior Evaluation Camp in August. Last year, USA Hockey invited 29 players to its pre-tournament camp before cutting down its roster to 22. Using that as a template, I’ve listed the 29 players I believe are most likely to earn an invitation. I also included a few other players that may be in the mix at each position. This is purely speculation on my part, so we’ll see how right (or how wrong) I am when the final roster drops. In the past, USA Hockey has selected its two goaltenders prior to the camp, so as to get the duo locked in. That is likely going to be the case again this year. Jack Campbell — Soo Greyhounds — No brainer right here. This is Campbell’s team. Will he recapture the golden touch? John Gibson — Kitchener Rangers — With Campbell assured as the starter, Gibson is the future for Team USA. He’s not your ordinary back up either. If anything happened to Campbell, the team can have confidence in the similarly skilled Gibson. Having two 2011 IIHF best goaltender directorate award winners (Campbell at WJC, Gibson at U18s) on the roster certainly doesn’t hurt either. Andy Iles — Cornell — Last year’s backup has been excellent for Cornell this season, but his age may go against him. Gibson comes in with another year of eligibility remaining and a U18 Directorate Award under his belt. I don’t anticipate much difference between the nine defensemen that made it to the end of the National Junior Evaluation Camp in August and those that will be included on the pre-tournament roster. Justin Faulk — Carolina Hurricanes — There will likely be a spot open for Faulk, though he might not participate in camp. He might not be available at all in the end as he’s currently playing for Carolina in the NHL, but they’ll leave the light on for him. Jon Merrill — Michigan — Despite not playing a game all season, I think the U.S. is going to give Merrill a shot to compete for a spot in camp. He was Team USA’s top producing Dman at the WJC last year. When he’s on his game, he’s probably better than any of the other candidates. Unless he’s really rusty, he’s worth bringing. Despite disciplinary issues at Michigan, I would not anticipate Merrill being a distraction. Derek Forbort — North Dakota — A returnee from last year’s squad, Forbort isn’t necessarily guaranteed a final spot, but he might as well be. If Merrill and Faulk are out, Forbort would be lone blueliner with WJC experience. Despite the rough start for North Dakota, Forbort looks like he’s beginning to tap into his vast potential. Seth Jones — U.S. National Under-18 Team — Though just 17, Jones is the real deal. I don’t see how he’s left out of camp or the roster. He plays a mature, steady game with no panic level. Perfect for this tournament. Jarred Tinordi — London Knights — The hulking 6-foot-7 blueliner should be another lock for this club. He brings the physical edge that make forwards think twice in the corners and has improved his footwork over the last two years. He easily fills the role of a physical shutdown D. Tinordi also has plenty of international experience and is well respected by his peers, having been a former U18 captain. 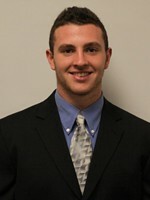 Adam Clendening — Boston University — A sure-handed puck mover, Clendening is the offensive defenseman the U.S. can use. His poise with the puck and smooth skating bring an important element to the blue line. Plus, he’ll be hungry after narrowly missing last year’s cut. Stephen Johns — Notre Dame — Skates hard, plays hard, hits everything. I think he’s in camp, but he’ll have to build trust with the coaching staff as he’s been penalty prone and a bit of a risk taker from time to time. Jacob Trouba — U.S. National U18 Team — This is a choice where I feel I may be reaching a bit. Trouba might only get an invite for experience, if at all, but the improvement shown by the 2012 Draft Eligible is enough for me to believe he deserves another look. There’s no way Team USA takes two under-age defensemen, but having a player like Trouba in camp could push some of the older guys. Austin Levi — Plymouth Whalers — The big, physical defenseman is an attractive option at the back end. USA gave him a long look at summer camp and he’s been a solid player on a good OHL team. Could be Levi vs. Johns in camp. Justin Holl — University of Minnesota — Despite looking like he’s getting comfortable in college hockey, Holl’s upside isn’t enough to get him on the roster. Robbie Russo — Notre Dame — After being cut at summer camp, Russo has had a really solid freshman year for the Irish. I’m certain he’s in the mix, but it’s a numbers game and there just wasn’t enough space. If Faulk is for sure out of the mix, Russo might be the first to get a call. Scott Mayfield — Denver — The slick skating Mayfield should get a considerable look, but it’d be hard for him to knock off any of the big men listed above. This list of forwards is center-heavy, but I would anticipate seeing a few natural centers moving to the wing for this camp to compete for spots. There are going to be a few players that are going to have to adjust to roles they might not be used to in order to gain a roster spot. Nick Bjugstad — Minnesota — The nation’s leading scorer is a returnee from last year’s club. He’s in. Print it. Too late. I just did. Charlie Coyle — Boston University — Only Jack Campbell was better for Team USA in 2011. The BU center plays a steady two-way game and should be a centerpiece for the U.S. bid. His versatility allows him to transition between top-six and bottom-six seamlessly. Whatever role he’s given, he’ll excel. Coyle grew into his game a bit at the 2011 WJC, but this time around he’ll have a lot more immediate responsibility. J.T. Miller — Plymouth Whalers — He’s a center at Plymouth, and he may get a few reps at the position in camp, but I believe he’s more effective offensively at wing for this club. If on either wing, Miller is top-six. Austin Watson — Peterborough Petes — Though he is perfectly capable of bringing the offense, Watson will more than likely be used as a shutdown center if he’s to make the team. His true value is in his defensive and penalty-killing abilities. He’ll play physical, block shots and do all the little things right. T.J. Tynan — Notre Dame — The play-making center brings speed and tenacity. I am unsure he’d be a center for Team USA in this tournament, but he’s a pretty solid table-setter. His on-ice work ethic leads me to believe that Tynan will fill whatever role he’s needed in and fill it well. The tenacity be brings to most every shift is exactly the kind of energy the U.S. will require to have success. Add in his ability to produce and you’ve got a pretty strong candidate. Vince Trocheck — Saginaw Spirit — Trocheck has put up a bunch of points in the OHL, currently ranking ninth in the league with 36. He’s also an under-sized center. Tough competition this year and I don’t see him as a Top-6 guy. Can he fill a role? That will be his challenge. Emerson Etem — Medicine Hat Tigers — 52 points in 27 games from the left right side in the Dub. Top-6 LW wing. Case closed. Jason Zucker — Denver — As long as he’s healthy, he’s a lock to be a left winger on this club. Very few players get the chance to play in three World Junior Championships. Zucker will be one of the few. He’s got wheels, put on muscle in the off-season and continues to produce at Denver. Zucker also might have a bit of a chip on his shoulder after getting his WJC time limited by a mid-tournament injury in 2011. Stefan Noesen — Plymouth Whalers — The big right winger will give the U.S. a solid top-six option. He’ll have to be willing to get his nose a little dirty from time to time, but that shouldn’t be a problem for Noesen. Brian Ferlin — Cornell — After a standout performance at the NJEC, Ferlin has been excellent for the Big Red. He offers great size on the right side and can fit a variety of roles and would make the team in a bottom-six role. We may be watching a player really coming into his own and blossoming a bit developmentally. Jared Knight — London Knights — Knight possesses offensive ability and defensive responsibility. He’s a solid guy to bring aboard at the RW position and likely has an inside track on a final roster spot, but won’t have it handed to him. Connor Brickley — Vermont — USA has used its 13th forward slot on a gritty, physical guy in the last two years and that’s what Brickley can be. He’s never one to shy away from the physical game, and most times is the aggressor. After being a late cut in last year’s camp, Brickley should come in hungry and ready for battle. It’s going to take a lot for someone to rip a roster spot away from the Vermont sophomore. Kyle Rau — Minnesota — Rau is feisty and he’s producing. He wasn’t at the NJEC, but he may get a chance to prove himself in camp. He’d have to battle hard for a spot, but he’s earned a right to be part of that battle. Matthew Nieto — Boston University — Despite being cut at the NJEC, Nieto has been an offensive leader for BU, averaging over a point-per-game. The speed he can bring is unlike any of the RW candidates and he’s finishing as well as he ever has in his career. Bill Arnold — Boston College — Arnold is averaging over a point-per-game for Boston College and is a strong presence down the middle. He can play with energy and score. Kenny Agostino — Yale — After leading the NJEC with 10 points (3g-7a), the Yale Bulldog left winger will have a good chance to be a part of this U.S. team. He currently leads Yale with 10 points in nine games. I still have a hard time believing he was playing New Jersey high school hockey just two years ago. He’s come a long way developmentally in that span. Shane Prince — Ottawa 67s — Prince has continued to produce and may be in a bit of a positional battle. You’d have to think Prince would be most effective in a Top-6 role for this U.S. team. With so much depth at left wing, the competition will be fierce and Prince may have a tough time knocking off the guys ahead of him. Brandon Saad — Saginaw Spirit — Saad declined an invite, somewhat mysteriously, for the NJEC after being named to the initial roster. He went on to start the season with the Chicago Blackhawks, but was sent back down to the OHL after two regular-season games. Upon his return to Junior, Saad lit the league ablaze, registering 18 points in his first nine games back. Yep. He averaged two points-per-game while also displaying a goal-per-game pace. There’s just one problem. Saad hasn’t played a game since Oct. 29 with an “upper-body injury.” However, he can play either wing and if he’s completely healthy, he’s a threat in any game. There are a lot of “ifs” surrounding Brandon Saad, but not enough to scare me away. Reid Boucher — Sarnia Sting — Boucher has 15 goals in 25 games and is as pure a sniper available this year. While he lacks the speed Blais covets, this kid has the scoring touch. He’d almost definitely have to be in your top six and he might not be ready for that role just yet at this level. Nick Shore — Denver — I was thisclose to putting Shore in my camp roster, but the center position is a tough one to crack. He’s got great hockey sense and vision, but he might be a step behind in what the other centers can bring to the table. There’s still a good chance he gets an invite. Shane McColgan — Kelowna — Playing more on the right side, McColgan has produced pretty well for the Rockets. His downfall is that the U.S. has a lot of big guys that can play on the right side. McColgan isn’t a burner for a smaller player. He’s a very good player, but I don’t think this is his year. He’ll certainly get another look next time around. Tyler Biggs — Miami — Biggs is really coming into his own in college hockey right now. He’d have to play more of a bottom-six role for this club and, while certainly capable, Biggs has a few older, more experienced (in that role) guys ahead of him. He’s definitely a front-runner for the 2013 roster, though. Kevin Hayes — Boston College — Hayes is still developing in a variety of ways and I’m just not convinced he’s quite ready for this tournament. So there it is. There’s bound to be a surprise or two, but based on what we’ve seen this year, this is my best guess. When the roster is released, you can expect a full player-by-player rundown and much more. Also, to learn more about some of these players, be sure to check out the U.S. World Junior Spotlight, which will continue daily until the final camp roster is unveiled. Lastly, why let me have all the fun? Feel free to speculate yourself right here in the comments. Step right up, don’t be shy. Good list. Can’t really argue with any of these selections here. One thing: You have listed Etem as a LW but he plays RW in Medicine Hat and played RW in last year’s tournament as well if I remember correctly. Are they planning on flipping him over? You’re right. Thanks for pointing that out. Must have had a brain cramp there. He can play on both sides, but most likely on the right. Isn’t the Schmaltz kid a Yank? Is he not WJC eligible? Miller, Noesen and Levi are playing on the same league-leading OHL team… do you think that familiarity with one another plays into the final decision by the coaches? Also, Zucker, Watson, Levi, and Knight all played for the same midget team – any other interesting reunions of as many players heading into the December camp?